Introducing The Seers Playing Cards: A revolutionary design offering 4 different fans in one deck. The beautiful faces are eye-catching -- perfect for close up magic. It's backs are vibrant -- perfect for Cardistry. This makes what we think is the perfect all-round deck! This deck is nowhere near a standard design -- check out the diamonds and hearts being light blue. We have found that, these days, more magicians carry fancy decks for when they're not in gigs. 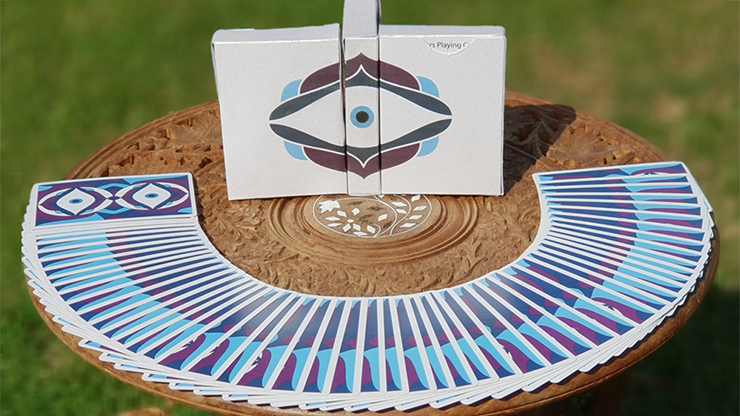 Thus, we thought it would be suitable to have a bold and striking deck that would be suitable for an audience or a simple show of your cardistry finesse!